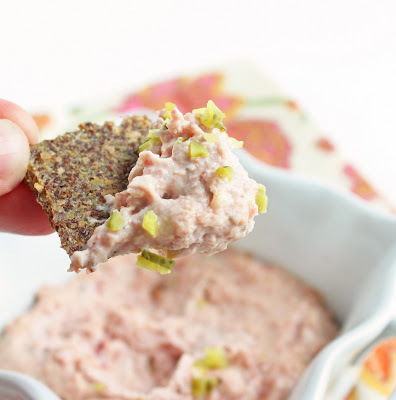 This is a great dip for entertaining! Perfect little dip for plopping on little toasts. It gets served as a passed appetizer and it makes everyone feel fancy. Heat oven to 350°F. In large bowl, combine pastrami, cream cheese, sour cream, Swiss, Greek seasoning and caraway seeds. Place mixture in 1-quart baking dish and bake 35 minutes or until dip is hot and bubbling. Serve with rye toasts and gherkins on the side, or scoop dip onto rye toasts and garnish with sliced gherkins for a passed appetizer option. Garnish with cracked black pepper.